Karen specializes in Pregnancy Massage , Swedish Massage and Remedial Massage. 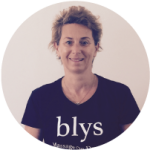 K. I became a massage therapist as I wanted to contribute to peoples health and wellbeing, and know the benefits of hands on bodywork both emotionally and physically. K. I love Blys for the simplicity of just turning up and doing my work with everything else taken care of. K. Yes, it can focus them on maintaining their posture, diet and exercise routine so they can avoid serious health issues. K. That is the most relaxed I have ever felt on a treatment table. K. View of Bondi from the coastal walk.